Finding the motivation to exercise can be difficult on a day-to-day basis. You want to lose weight and you know you need to exercise to do it, but often, you just don’t want to. So, what should you do? Hypnosis is a simple, but highly effective, technique that can help you gain the motivation you need to lace up those sneakers and hit the gym like you are always telling yourself to do. Motivation is the mental push to do something, usually something you do not have a natural inclination or desire to do. Except for the rare few, exercise definitely falls into this category. But the results from consistent exercise can make a world of difference to your health and your body. At Advanced Care Hypnosis, Daniel Rose and his experienced staff are ready to help you change the way you approach your workout, gain the motivation you need to exercise and lose weight, and change your life. They have had some amazing results, and you can see changes in as little as one session. Studies show that 50% of those who start working out will quit within 6 months. Sound familiar? Whether it is a New Year’s resolution or an upcoming wedding, we all have things that make us want to get into shape. But it’s hard to keep the motivation after the first few months, or the event has passed. Once your motivation has flagged, it gets harder and harder to get back into it. Then, you notice how out of shape you have become, and the last thing you want to do is head to the gym and work out among all of the ultra-fit people around you. You feel weak and uncoordinated, and your self-confidence drops. Increasing motivation and confidence is the key to a successful, long-term exercise regimen. “The more people think they can successfully do exercise signifies they will more likely adhere to the exercise program,” says Len Kravitz, Ph.D., of the University of New Mexico. If you think you can do it, then you can do it. Hypnosis can help increase your confidence and your motivation. When you are under hypnosis, your mind is open and focused. Your subconscious is accessible, allowing a trained hypnotherapist to get to the root of your lack of motivation and any self-esteem issues that are holding you back, and gently suggest ways to become more motivated. 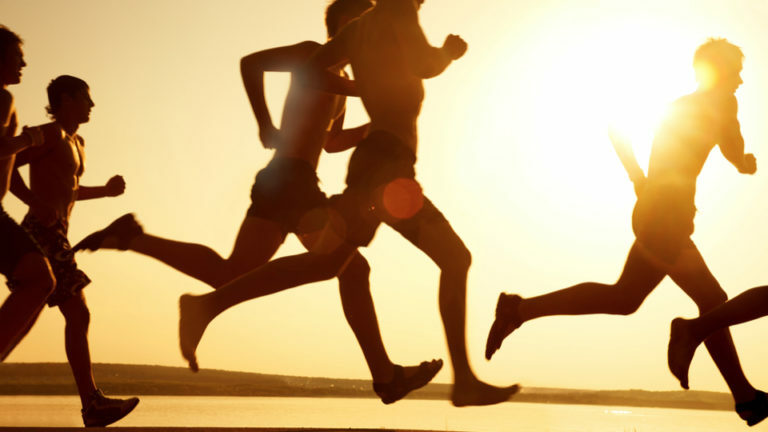 With the help of hypnosis, you will be motivated to exercise as you never have before. With a consistent workout routine, as well as good eating habits, you’ll notice an increase in energy. You will start to lose weight and become stronger and fitter. Health issues that you may have struggled with in the past will improve as you take better care of yourself and the choices you make for your body. Advanced Care Hypnosis is the perfect solution to your lack of motivation to exercise. Daniel Rose has over 30 years of experience. His compassionate and caring nature is a perfect complement to his skills and knowledge, making him the best hypnotherapist to help you feel motivated, confident, and ready to lose weight. Imagine getting out of bed in the morning and being excited to be heading to the gym. Imagine feeling strong and capable as you run through your workout. Imagine seeing yourself in the mirror, slimmer and more toned than you were before. Picture wearing all of the clothes you thought you couldn’t because you just could not lose the weight you wanted to. Are you ready to live a happier, healthier, and better life? Let Advanced Care Hypnosis help you attain the life you deserve!